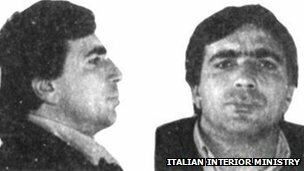 Italian police have arrested the notorious chief of a Naples mafia clan, Michele Zagaria, who has been on the run for 16 years. Police said they found him after digging into a secret bunker in his hometown of Casapesenna near Naples. The Casalesi clan has been involved in drug trafficking and corruption in the construction industry.